London - Liverpool duo Sadio Mane and Mohamed Salah were among five nominees named for the BBC's African Footballer of the Year award on Saturday. 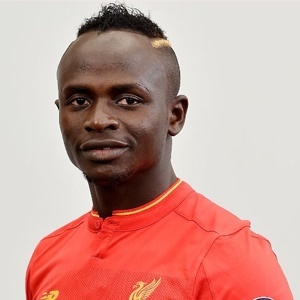 Mane's fine form for Liverpool has carried over to the international stage as the winger helped Senegal qualify for the World Cup for the first time since 2002. Egypt winger Salah has also impressed for club and country. Salah has 12 goals this season for Liverpool following his move from Roma and it was his late penalty that sent Egypt to the World Cup for the first time since 1990. Chelsea's Nigeria wing-back Victor Moses, Borussia Dortmund and Gabon forward Pierre-Emerick Aubameyang and RB Leipzig's Guinea midfielder Naby Keita make up the rest of the shortlist. Aubameyang became the first African to top the Bundesliga's scoring charts outright with 31 goals last season. Keita, who has agreed to join Liverpool at the end of this season, made the Bundesliga team of the year as his club were surprise qualifiers for the Champions League. The BBC will announce the award winner on December 11.